La Maurienne Valley in Savoie, France is one of the best base locations for cycling big and famous Tour de France climbs. While the towns aren’t as cute or picture-perfect as one might find in Provence or Alsace – they are nice enough and are surrounded by stunning mountains. 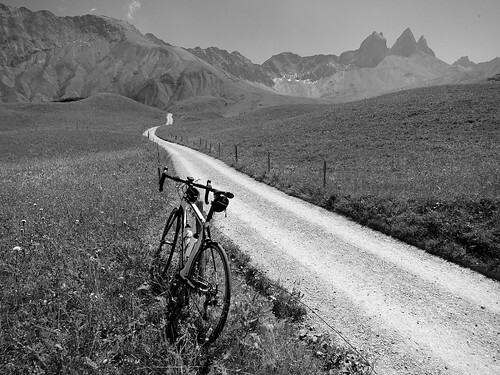 And if your main vacation priority is cycling uphill, you can’t go wrong. 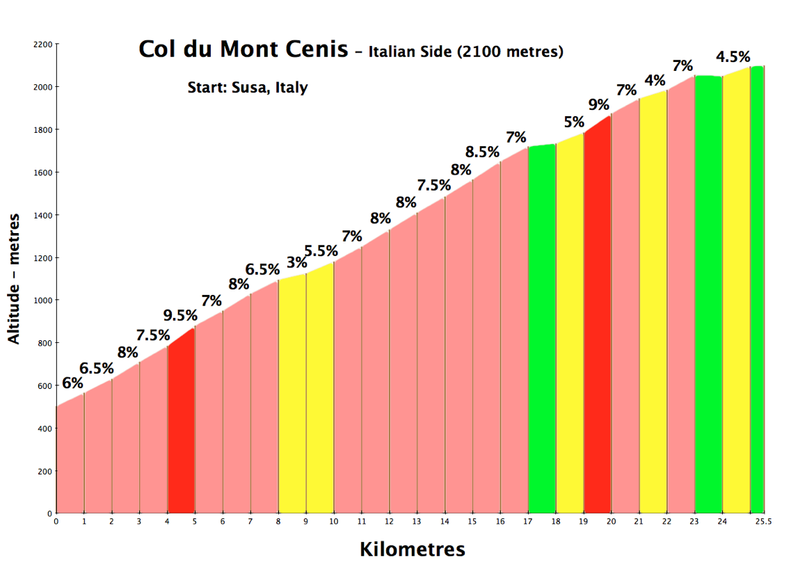 In the map above the green arrows indicate the start of climbs. The thumb-tacks indicate the summits of the like coloured routes. And the little red flags indicate other interesting climbs. Click any marker for more info. Or click link at bottom of map for a larger version. 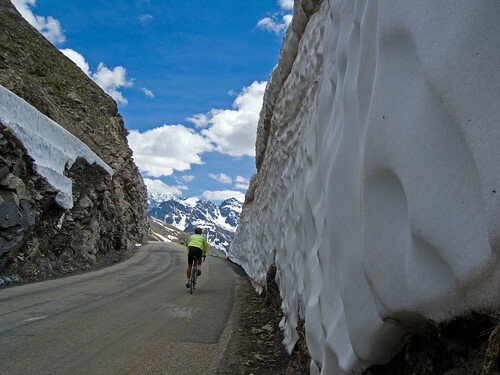 Here Are My 7 Top Cycling Climbs from La Maurienne Valley Edit: 2012 – I’ve added three more. Now ten: — now fourteen! One of the most famous climbs anywhere. Frequently, the highest pass in any given edition of the Tour de France. This north side is the the tougher and more beautiful side. 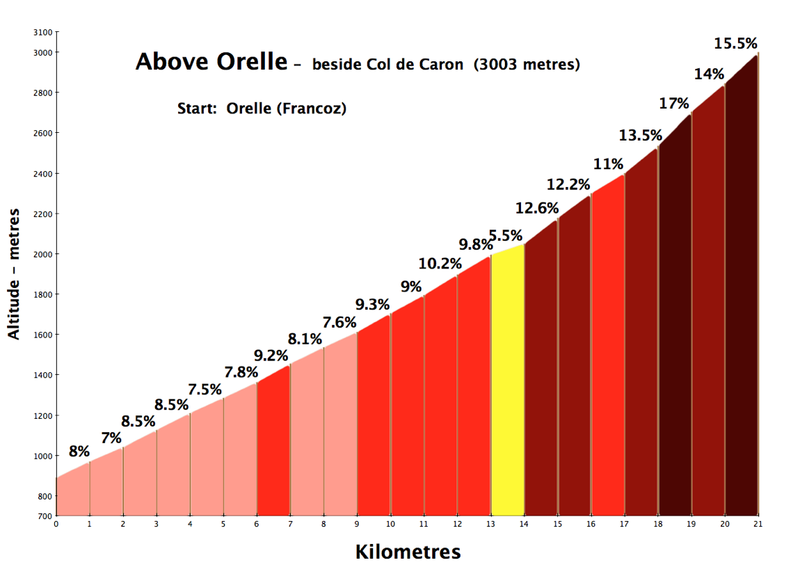 The biggest bottom-to-top altitude gain of any cycling climb in France. 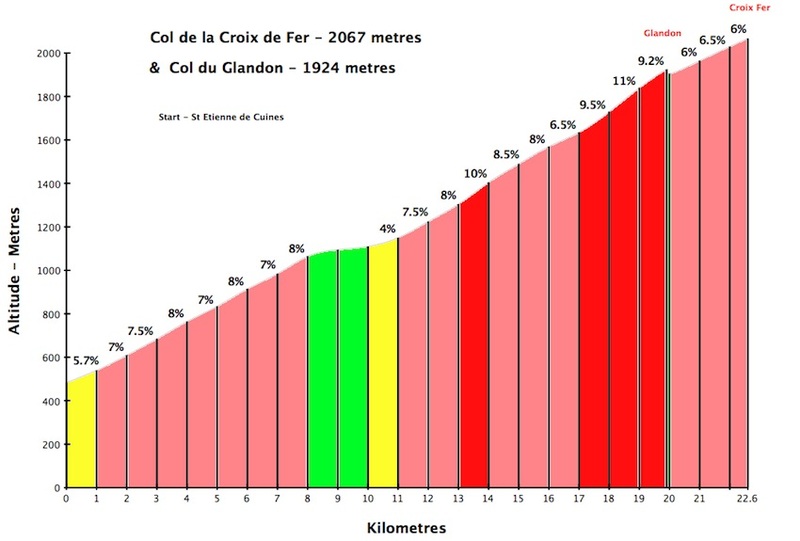 Iseran is the highest pass for a road bike in France (Cime de la Bonnette is not a pass). This south side is the more interesting and remote side of this giant climb. Truly amazing ride. For a detailed review see here. Yet another beautiful Hors Categorie climb. Glandon is on a small little road that just keeps going up. The last three kilometers are hair-pin heaven – and super steep. 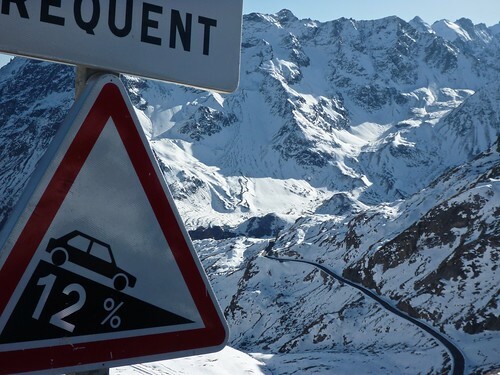 At the top, one can add 2.5 kilometres to reach the slightly higher Col de la Croix de Fer from the backside. The first time I cycled this I went past a cyclist vomiting at the top. I love this climb. 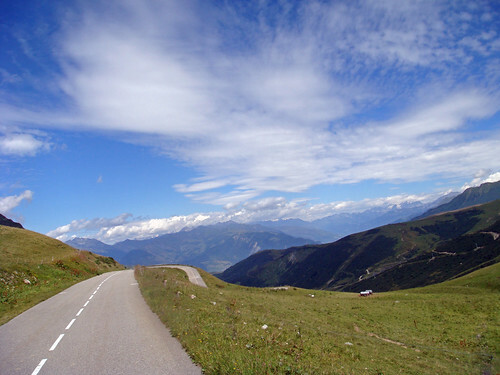 My favourite way to cycle up Croix de Fer is via the hair-pin-filled Col du Mollard. This is a lesser known way up this legendary climb. 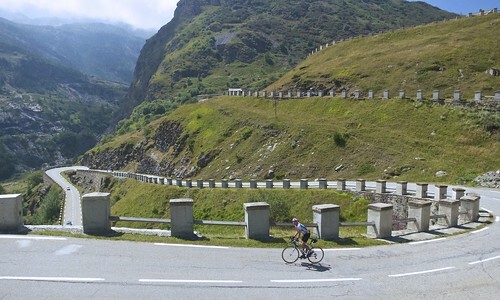 Col du Mollard is a superbe, winding climb that joins the route to Croix de Fer after bypassing several tunnels. 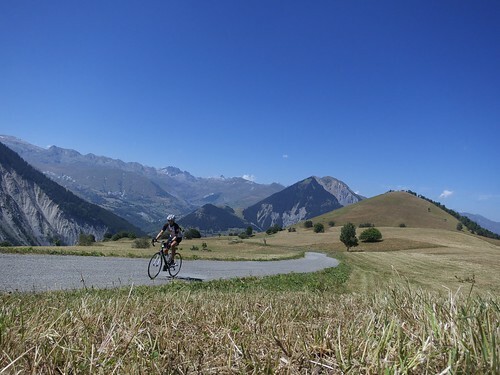 For details of five routes up Croix de Fer see here. 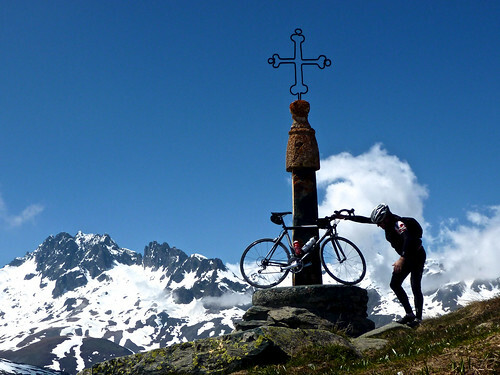 For details of the direct way up Croix de Fer that includes La Toussuire see here. Yet another giant. This is the shorter and steeper side of Madeleine. Wide open and south-west facing, the top stretch can be an oven on hot days. They serve great pie at the top (see pic). For a detailed review see here. For a second paved way up on the Maurienne valley side – see here. 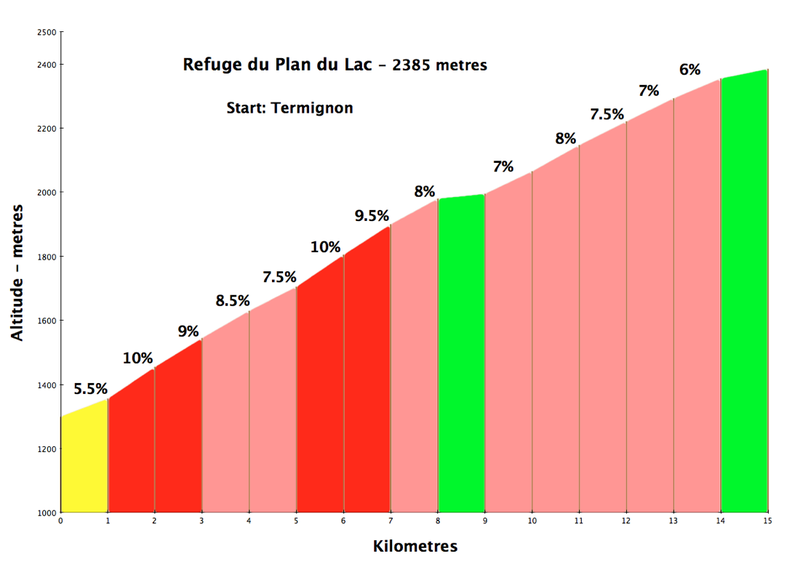 The link includes a detour to Lac de la Grande Lechère. Finally, a non Hors Categorie Climb. This lesser known climb has been advertised by a Touring company promising to reveal a secret gem to their clients. The secret? 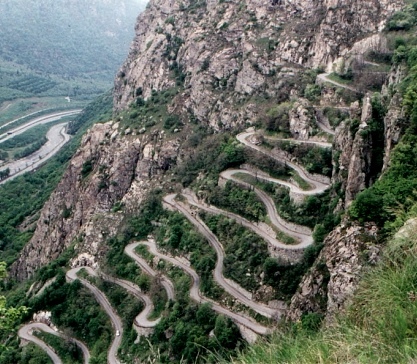 The Lacets (hairpins) de Montvernier. This astonishing stretch at the start weaves straight up a cliff (see pic above). 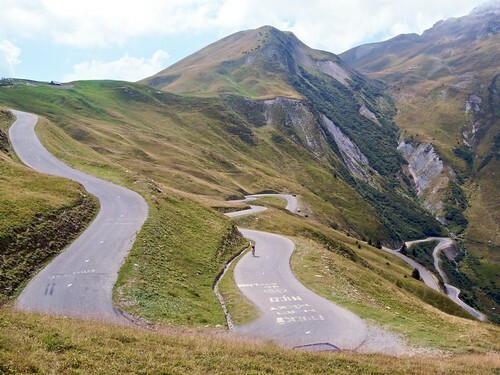 The rest of the climb is enjoyable as well, and if you take a touring or mountain bike, it’s possible to follow some great high trails to Col de la Madeleine (see link below). For a detailed review see here. 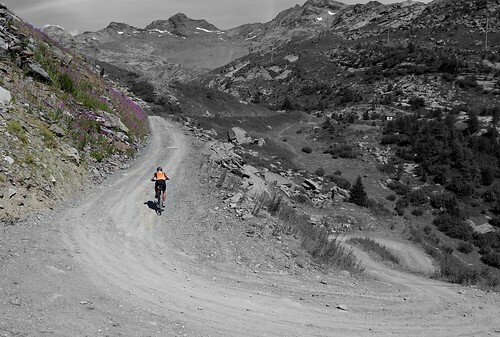 Note, the descent in the review is down an alternate, quieter route from the top of Madeleine. 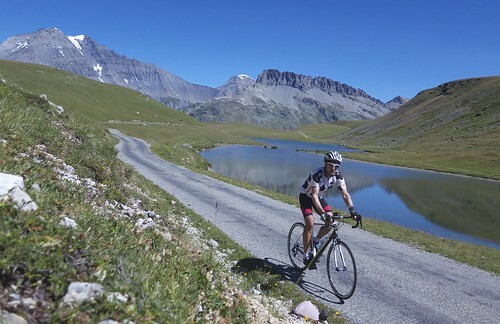 The french side is by far the easiest climb on the list – but is still beautiful and above 2000 metres at the top, beside a beautiful large alpine lake. It’s at the Italian border, so feel free to descend and re-climb the longer, harder and interesting south side. Full details here plus a superb detour to Col du Petit Mont Cenis. Another stunning, high altitude climb. The top half of this 15 km climb to 2380 metres is as good as it gets on a bike. 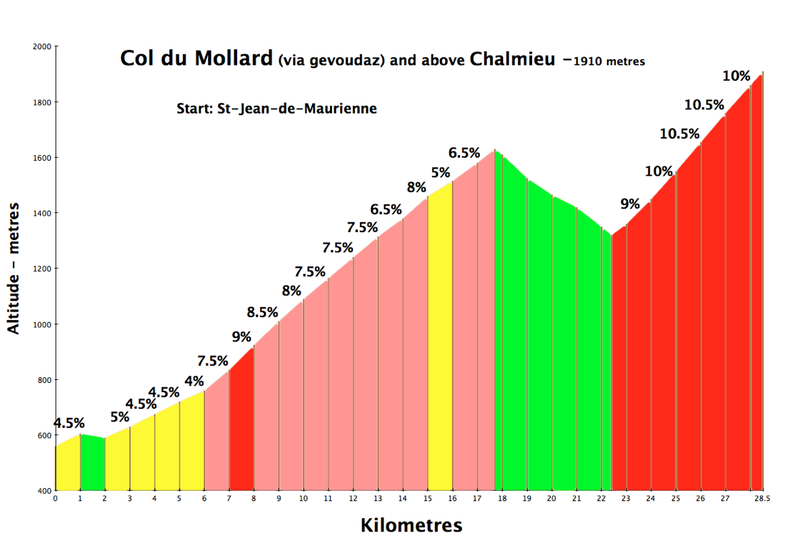 There is a second way up Col du Mollard, first through a low valley between Mollard and the croix de Fer route and then up the side of a mountain. Fantastic and quiet. After descending the backside of Mollard, instead of visiting Croix de Fer there is a steep little road that goes up and past Chalmieu. #10. Above Orelle to 3000 metres! OK, this ride requires a mountain bike. But wow. Up to Col de Caron and 3000 metres and a peek into Val Thorens on the other side. The highest I have ever been on a bike. Sandwiched between the route to Col du Galibier, and Col du Mollard, this is a challenging, beautiful climb on quiet roads. And there is a “secret” link to Valloire/Galibier that I’ve yet to explore. Ride details here. I first saw the crazy cliff road to Montdenis while descending Col d’Albanne on the other side of the valley. While not the highest climb, this is a very fun dead-end road that is not very well known. Ride details here. 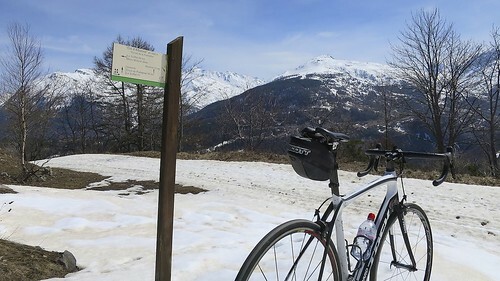 A very nice early season loop that starts from St-Michel-de-Maurienne – the start of Galibier and Télégraphe – but climbs the other side of the valley. Includes great views of the perched Fort du Télégraphe. 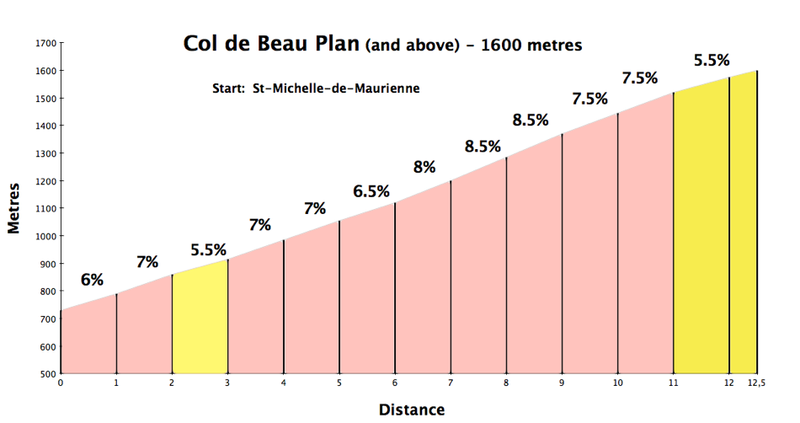 The loop also includes Col de Beaune. Ride details here. In early spring/late winter, when driving into the Maurienne valley, there is a road sign that lists the open/closed status of seven cols. 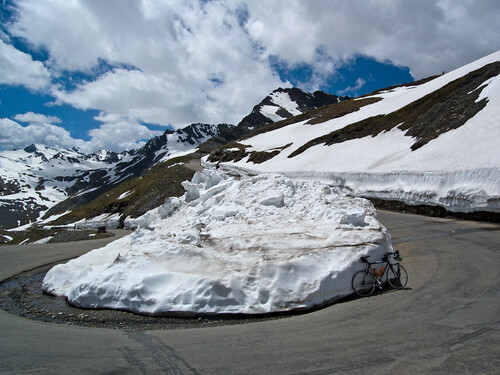 Often 6 are closed (Madeleine/Glandon/Galibier/Cenis/Iseran/Croix de Fer) – but Col du Grand Cucheron is open! 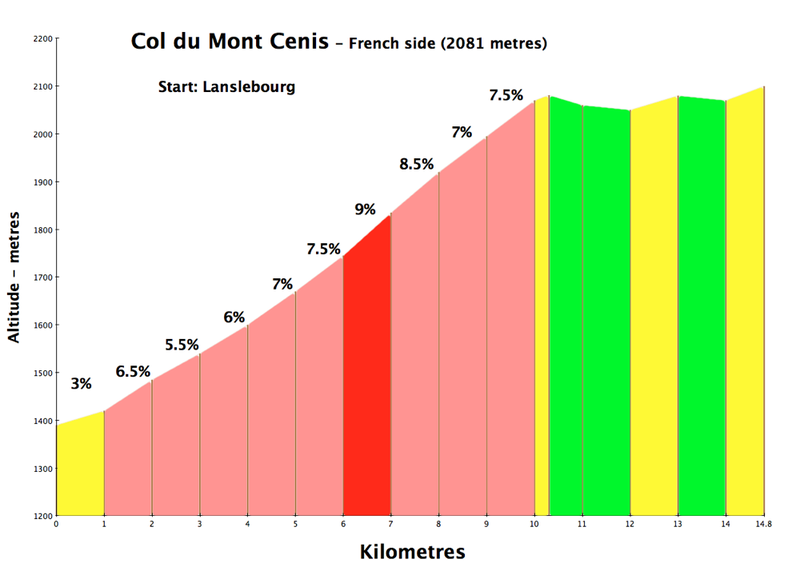 Details here of a nice loop that also includes Col du Champlaurent. While I haven’t put it on the map, a final idea for the strong and ambitious, is to do the giant loop that appears in La Marmotte cyclosportive. 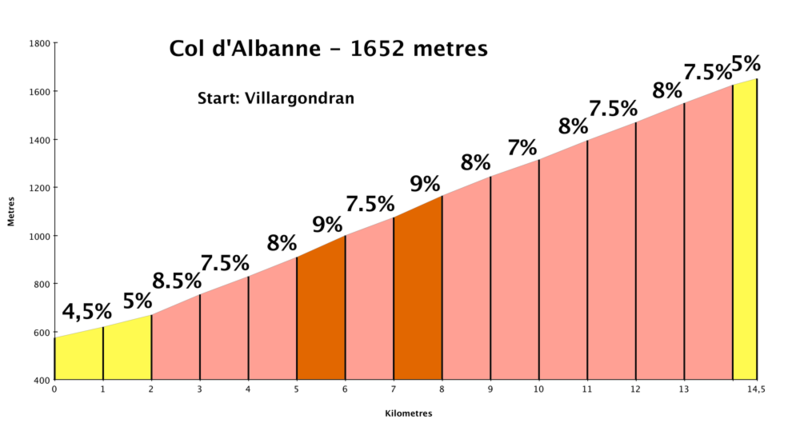 Basically, climb Galbier, descend the other side – cycle past the base of Alpe d’Huez (or climb it), and return via the south-west side Col de la Croix de Fer. See here for a map showing the route (but with a different start). 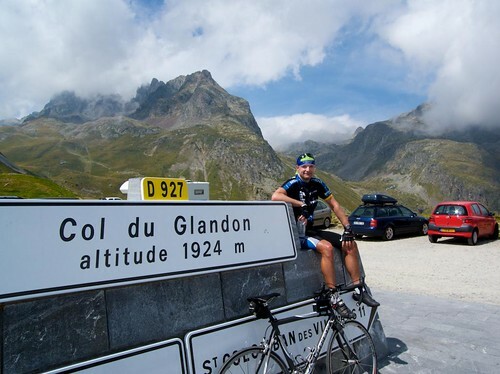 My partner and I climbed a few cols last year on an organised TDF 2012 tour group (Bikestyle tours) and now have been bitten by the bug and would like to do some more (we climbed CdelaMadeleine, Alpe d”Huez, Cdu Grand Colombier, Ventoux, Tourmalet, Col du Granier). So we are definitely not in the same league as you, but I have found your website to be very inspirational. We would like to organise ourselves this time, maybe have one days climbing followed by a rest/tourist day and so on. We would like to try this in the Alpes and in the Pyrenees. So I guess I am after some advice on a good base for each area. I was thinking Annency for the alpes in that it would be a good place for more touristy stuff ? and would have a good range of accommodation and restaurants? Would it be too far from the cols you mention above? We were thinking apartment type accommodation rather than hotel so we could do all our cycle laundry ourselves and some cooking. Does that seem plausible? And where would be a good Pyrnenan base. We were in Lourdes with our tour group last year which I didnt like. Would you suggest Argeles Gzost? or some other place. Additionally we are still trying to decide whether to go during July or before the tour or after the tour. Would it be so much more busy in August cos of French annual hols? We dont mind hot weather, just really trying for the least rainfall period. I know I have bombarded you with lots of queries, but please answer what you can, it will be very much appreciated. 1. Annecy is indeed a great base if you are looking to do other things in addition to cycling. It’s only flaw is it’s popular in summer. Great old town, lake, markets, etc. Lots to do. 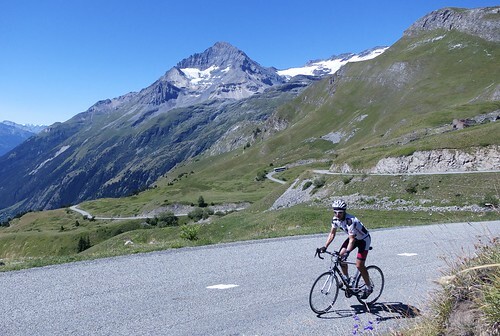 There is plenty of very good cycling from town including a couple of climbs in the 2013 Tour: Le Semnoz and Col de la Croix de Fry … challenging and beautiful. However, if you want to do the really big stuff in the Maurienne valley, Annecy is too far away. 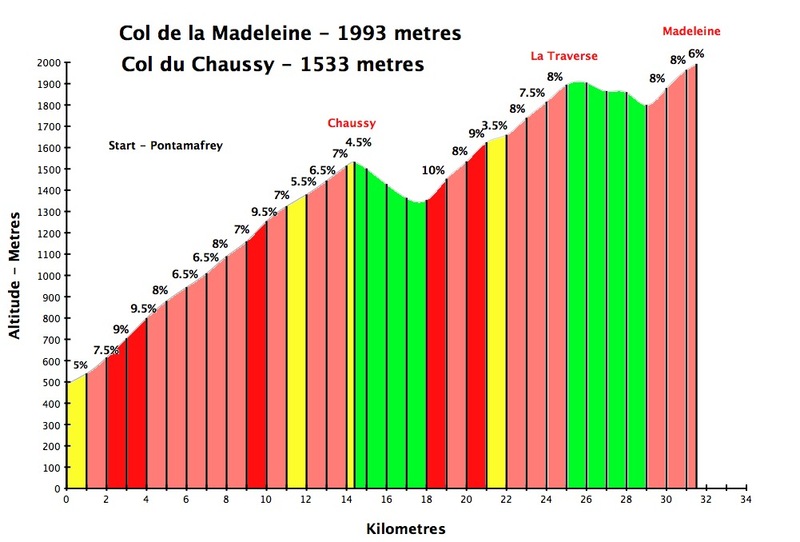 Maybe an hour + drive by autoroute to the base of Galibier, Glandon, Madeleine, Croix de Fer. The Maurienne valley has hotels but is far less touristy. Probably St-Jean de Maurienne is the biggest town with a nice main square, etc and centrally located … no need to drive to climbs. Or head deeper into the Maurienne valley and stay in Lanslebourg. Nice village and plenty of great climbs like Col de l’Iseran (highest paved pass in Europe) and Mont Cenis (2013 Tour de France). Both stunning. Other ideas would be Beaufort — see my site for an article on all the great climbs from this quaint town. Or Barcelonnette much, much further south which is a super town and at the base of several huge, famous climbs including the highest paved road in France – Bonette. I have an article on Barcellonette also under “Reviews” tab. August is far more crowded — but it’s by no means a show stopper .. and there is better chance of good weather than June or September. However, good weather in September makes for the best riding. No guarantees of course on weather but usually 3 out of 4 weeks are good. YES. Stay in the valley between Aubisque and Tourmalet (the two best known climbs). Argeles or Luz-St-Saveur (deeper into the valley) are both perfect. I stayed this September in Pierrefitte-Nestelas just south of Argeles and there was this wonderful billboard listing maybe 10 huge cycling routes that started right there. it is paradise. 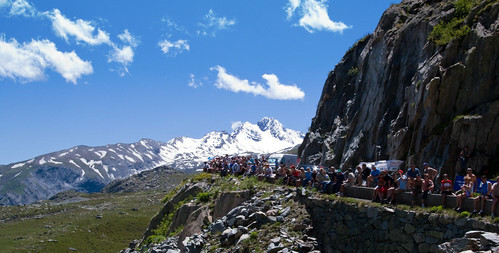 Tourists always do Tourmalet and Aubisque and then maybe Hautacam and Luz Ardiden from this valley. 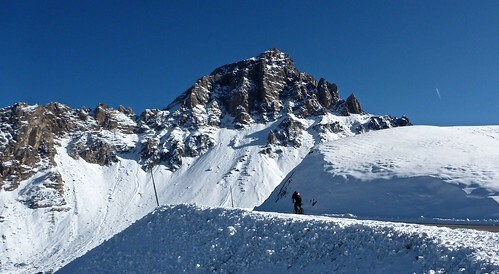 But heading deeper to Port de Boucharo and Cirque de Troumous are absolutely incredible biking. 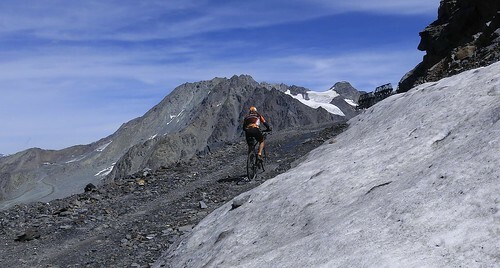 You can bike quite a few days without moving valleys. St-Lary-Soulan is also a very nice village to base from — Lac de Cap de Long was easily my favourite Pyrenees climb. Amazing place. Finally I have been a couple of times to the spa town of Bagneres-de-Louchon. Touristy village and several great climbs from town. All three above locations lead to great cycling for several days and include a lot of the famous stuff. I’d do Argeles/Luz as first choice. your website is brilliant – I’ve used it for my last 4 trips (Barcelonnette, Lake Annecy, Geneva & Bourg d’Oisans) & I’ve recently booked a two week trip at the end of May/early June to be split between St Jean de Maurienne & Bourg St Maurice. I’ll book looking to tick off your recommendations here, as well as Alpe d’Huez, Col d’Ornon, Les Deux Alpes & La Berarde while we’re there. Thanks for sharing your routes & tips – I’m already excited about my trip & it’s still 4 months away! 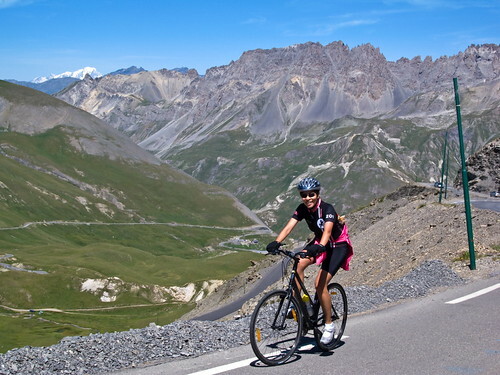 Love your blog, my friends and I are booked to go to Bourg d’asians next June to do some great cycling. 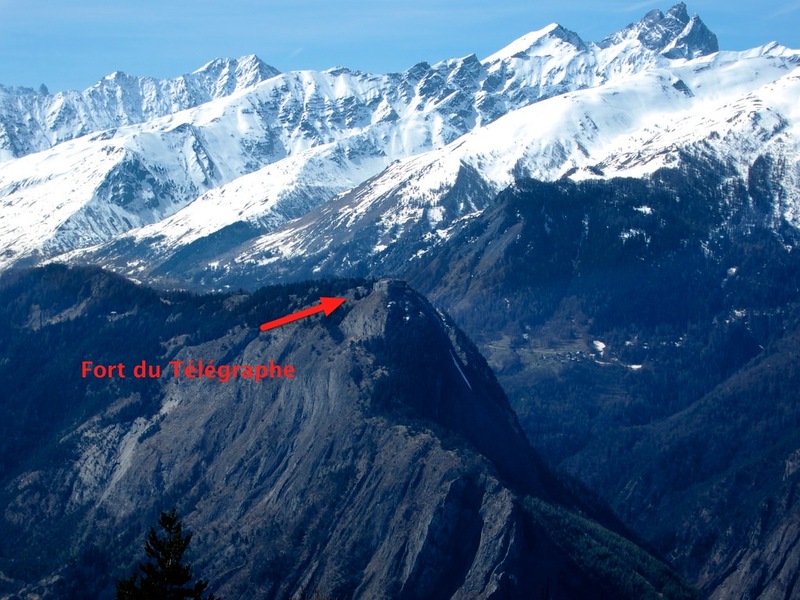 I was wondering if there is any way to get transport for our bikes and us from Bourg d’asians to the Maurienne valley , to the base of the climbs like Glandon etc? Sorry, I am no help here. Planning for 2019 as my trip (starting next week) has been cancelled due to a death in the family. With rides mentioned above and indeed on other pages, are they listed in order of ranking? If so, scenery, difficulty or just your enjoyment?